Hello there Internet. I realize it’s been a while since I’ve posted any work on here. The explanation for that was simple: I just couldn’t write anything. Due to stresses from my personal life and my job, I’ve been too mentally exhausted to do more besides go to work, go home, and fall asleep. I haven’t even been able to play games or anything. For about a month I forgot what fun was. Well after a month or so, I finally wrote something and got it published. Here is my review of Rise of the Triad for Paste Magazine. Here’s a secret: I never played the original Rise of the Triad. I know that probably makes me a sinner. Can you blame me though? I was four when it was first released. I doubt my parents would have let me run around shooting people before I even knew what videogames were. Luckily there are companies like Apogee Software and Interceptor Entertainment that felt really sorry for people like me and decided to reboot the shooter for modern audiences. I now see what I was missing out on in the 90s—a time where stories were small or nonexistent, action was fast and violence was exaggerated and borderline offensive. More than anything, though, if games back then were anything like Rise of the Triad, they were a lot of fun and impossibly hard. That’s the appeal of the old school. Games were infamously difficult, didn’t provide many checkpoints, and didn’t hold your hand even in the earliest levels. Since I started playing late, I’m used to being coddled. As somebody who didn’t touch her first shooter until the first Half Life back on the PlayStation 2, it took me a few deaths and restarts to get the feel of Rise of the Triad. It plays incredibly fast and doesn’t allow much time to breathe. My avatar runs at superhuman speeds and the enemies will empty their clips and reload within seconds. Each level in the single-player campaign is timed and factors into my overall score and ranking at completion. 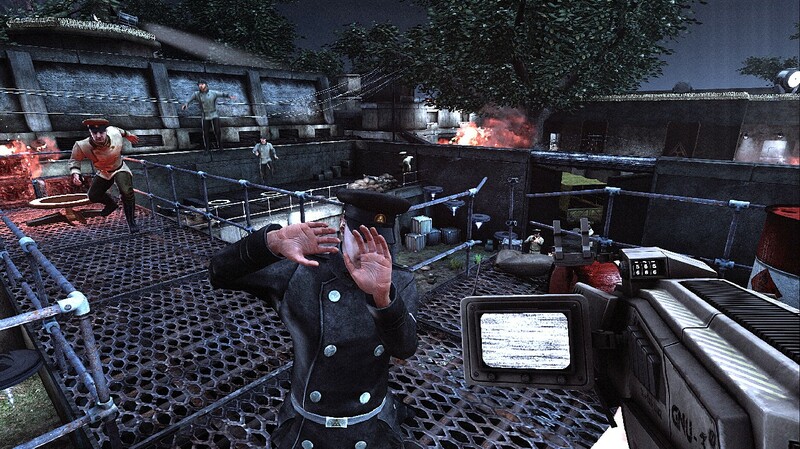 As many modern action games value strategy and stealth over the chaotic raging seen here, it takes some getting used to. The first time I tried to hide from the enemies was definitely the last time.